A group of researchers from Stanford University has developed the world’s first carbon solar cell, completely made of carbon. 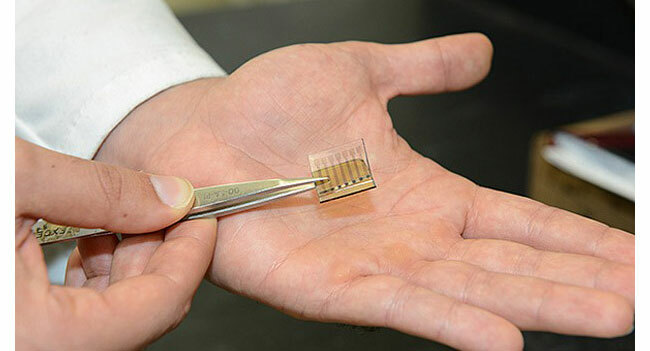 This solar cell can be an alternative to the modern photovoltaic cells, which are manufactured using expensive materials. According to one of the participants of the research team of Professor of Applied Chemistry, Bao Zhenan Bao; carbon has the potential to achieve high efficiency and thus is cheap enough material. It is also noted that the developed carbon solar cell differs from the traditional solid-state solutions. It is designed as a flexible film. Because of this it can be applied to various surfaces, such as windows, walls, buildings, vehicle bodies. The technology has the potential application of the film to reduce production costs, since it does not require expensive equipment and tools. Despite a number of advantages, which provides carbon film solar cell, it is also characterized by some disadvantages. The most important of them is the low efficiency. The current prototype is effective yet less than 1%, which is considerably below today’s solar cells. However, the developers already have an idea that could dramatically improve the efficiency of the developed carbon solar cell.